In a dream Lex sees the life he could lead if he walks away from his father and LuthorCorp. It’s surprisingly touching: in this possible future timeline, Lex and Lana have a baby on the way, Clark is still good friends with Lex (and is now sporting some pretty cool specs), and most of all Lex is living life as if a great burden had passed from him. Coincidentally, the last episode of Smallville this year before the holiday involved Clark finding himself in a timeline where he was found and raised by Lionel Luthor, placing himself in the opposite position from Lex here. 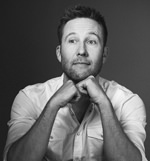 It’s one of Michael Rosenbaum’s more interesting turns as Lex — he doesn’t have to be angry or duplicitous, and he and his character both seem to revel in the moment.